Backlit Tiled-with-a-Seam – Indy Imaging Inc.
Our tiled-with-a-seam flex face is made using the same material as a non-tiled flex face. 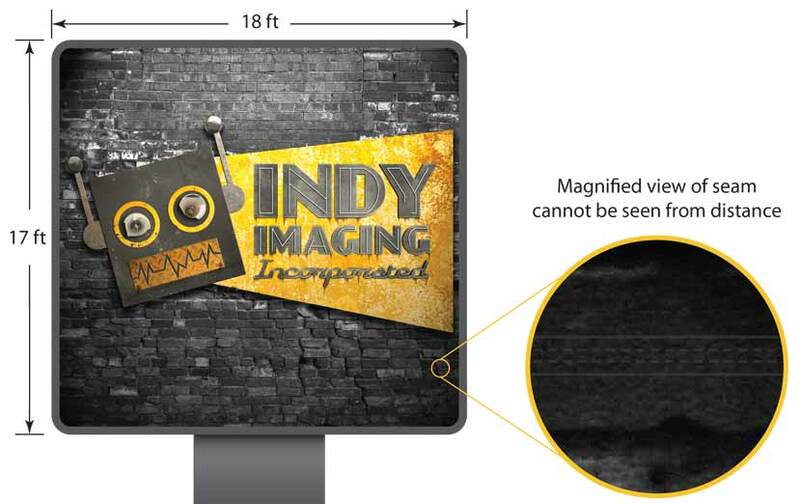 Indy Imaging has perfected a method of seaming together tiles when both dimensions exceed the 16-foot roll width. From our experience of making these for many years, our seams have proven durable. If you need a tiled flex face, we’ve got you covered.